Saint Andrew (or Andrei) was Aromanian in origin, or what the Greeks would call a Vlach, and his parents Naum and Anastasia were from Grabova in Albania. Due to commercial interests, they settled in Miskolc, Hungary. Saint Andrew was born here, the youngest of three children, on 20 December 1808, and was baptized with the name Anastasios. With the guidance of local Jesuits, Naum had opted for the family to convert to Roman Catholicism, seeking to obtain a better status than the second-class one reserved for most Eastern Orthodox subjects of the Habsburgs. However, the Sagunas, at the prompting of Anastasia, continued to be Orthodox in secret - the future Metropolitan and his two siblings were probably never practicing Catholic. During his studies in Pest, where he studied philosophy and law at the University of Pest, he was given housing by his uncle Athanasios, where influential scholars expressed their concern about the current disappearance of the Orthodox Romanian nation by the Austrian rulers, Catholics, Lutherans and Calvinists. 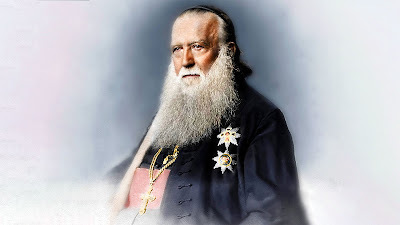 Determined to struggle for Orthodoxy, he took the invitation of the Serbian bishop Maxim Manuilovici (1829-1834) to go to Vršac, Serbia to study theology. He was able to distinguish himself for his knowledge and virtue, which resulted in the Serbian Metropolitan of Carlovit, Stefan Stratimirovici (1790-1836), to appoint him a professor in the Faculty of Theology and his personal secretary. On 1 November 1833, at the age of twenty-five, Anastasios became a monk at the Serbian Hopovo Monastery and was tonsured with the name Andrew. Metropolitan Stefan Stratimirovici later ordained him deacon on 2 February 1834 and presbyter on 29 June 1837. Due to his learning and virtue he was also appointed to be a chancellor and abbot of the monasteries of Jazak, Besenovo, Hopovo and Kovilje. 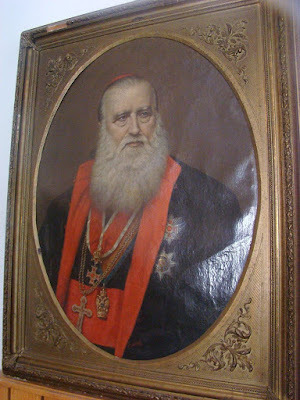 In 1846, after Vasile Moga, the Romanian bishop in Sibiu, had died, the Serbian Orthodox Metropolitan in Karlowitz, Joseph Rajacic, appointed Archimandrite Andrew Șaguna vicar of the vacant Diocese of Sibiu. 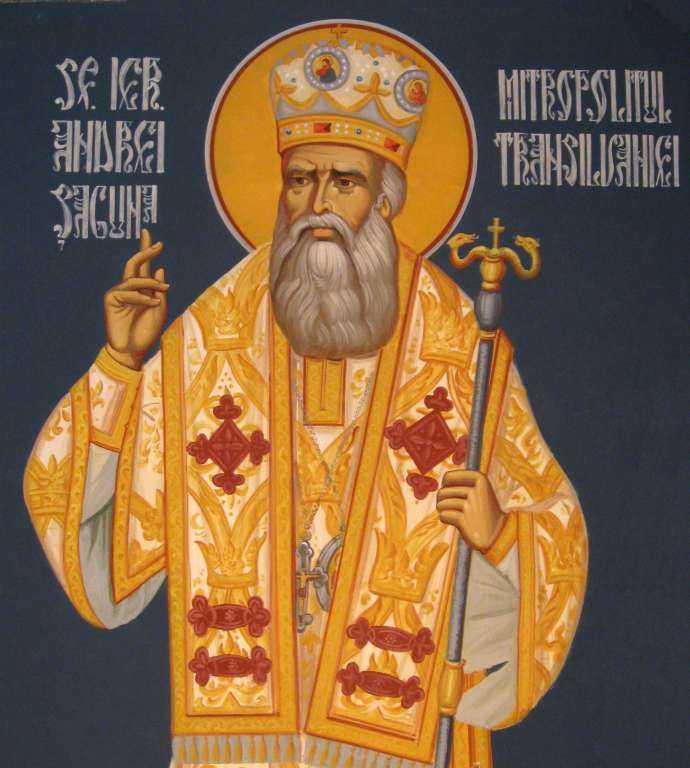 He was ordained a bishop in the Orthodox Cathedral in Karlowitz, his covenant being then to bring all Romanians in Transylvania closer to all that is good and uplifting. Andrew Șaguna was completely involved in the revolutionary movement of the Romanians in Transylvania. He co-chaired the Romanian National Assembly in Blaj, on May 3/15, where a program, containing 16 national-political claims, was drafted. Then, the Assembly appointed him to lead a group of Romanian intellectuals who went to Vienna to submit the document to the Imperial Court. Șaguna himself presented the program to the Emperor, who reassured him the requests were to be addressed. Another important project on the Transylvanian Hierarch’s agenda was the organization of the Romanian Orthodox Education in Transylvania at all levels. 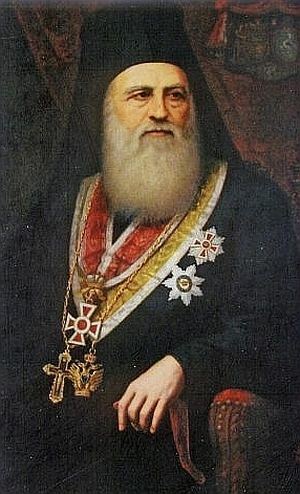 Metropolitan Șaguna provided guidance for the entire Romanian educational system, asking the teachers to write textbooks. 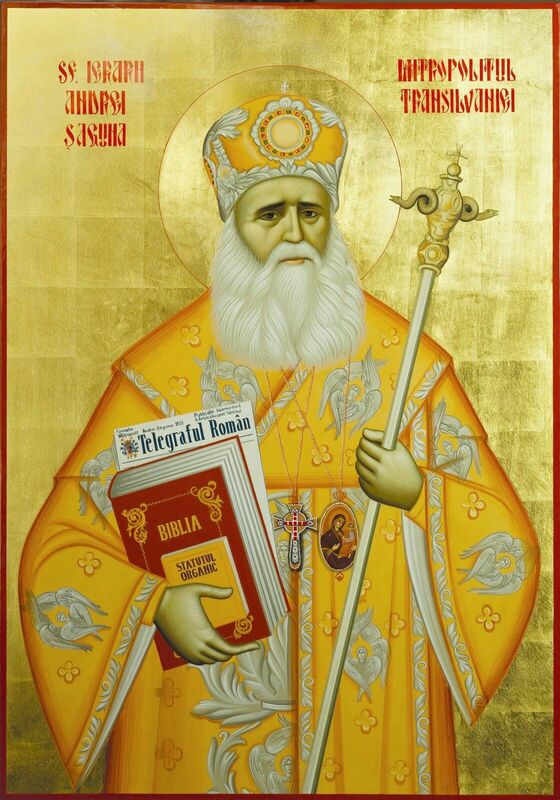 Under his guidance, almost 800 schools were founded in the Archdiocese of Sibiu, an extraordinary accomplishment considering that, at the time, there were only 900 parishes. These schools were not coordinated by the Hungarian authorities, but by the Eastern Orthodox Church. A proof of his exceptional involvement in the development of the educational system is found in his pastoral letters, in which insisted on the importance of erecting buildings that were to be used as confessional schools. Moreover, he created several foundations under the aegis of the Metropolitan See, through which hardworking students received grants. Following his advice, a successful Macedo-Romanian lawyer in Budapest, Emanoil Gojdu, established a foundation through which students and workers would receive grants. Over 5000 grants had been given before the Great Union in 1918. In an interview, His Eminence Laurenţiu, Metropolitan of Transylvania, spoke about Saint Andrew Șaguna’s rigorous approach to prayer. He used to pray every morning from 5 to 7 and no one was allowed to disturb him. He led a simple life and that is how he wanted to leave this world. He wished to be buried in the churchyard in Rășinari, where he had performed the Divine Liturgy so many times, “without grandeur, without music and without a sermon”, by one priest only, namely Hieromonk Gherman Bogdan, his confessor. His wish was carried out. 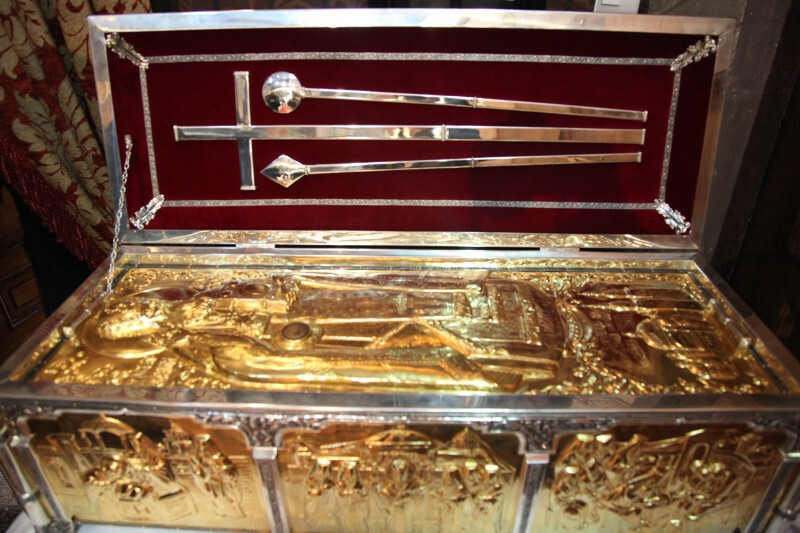 The Metropolitan died on 28 June 1873, donating his belongings to the Archdiocese of Sibiu. However, Romanians from all over Transylvania came to the funeral, to say farewell to the one who had taken care of his spiritual children like a true father. Shortly after his death, the peasants in Transylvania started to venerate Metropolitan Andrew Șaguna as a saint, according to writer Ioan Slavici, his portrait being hung next to the icons in their homes. 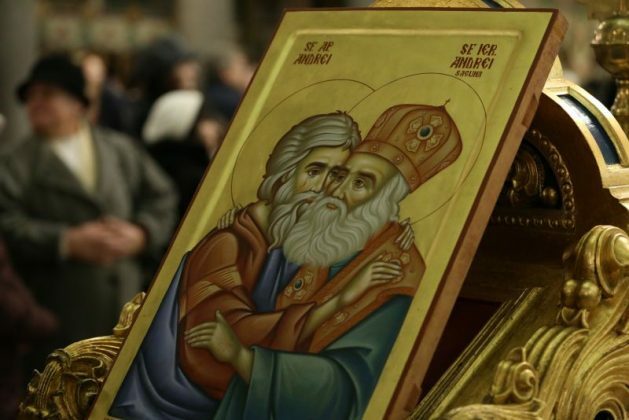 For being a model to follow, for his entire activity, the Holy Synod of the Romanian Orthodox Church decided, during the meeting held on 20 July 2012, to canonize Metropolitan Andrew Șaguna and thus to add his name to the long list of saints of the Orthodox Church. The official proclamation of Metropolitan Andrew Șaguna’s canonization took place on 28 October 2011 in Sibiu, and it was decided to commemorate him on 30 November, along with Saint Andrew the Apostle, the one who brought the Christian faith to the Romanian land.